As part of a recent trip to Pasadena to escape the Arizona heat, we had a fantastic meal at The Eatery. The restaurant has only been open a short time, so it is still BYOB. The Chef at The Eatery, Claud Beltran was nice enough to ask the owner of Monopole Wine, who was dining the same night as us, to suggest (and deliver) a couple bottles of wine to go with our meal. 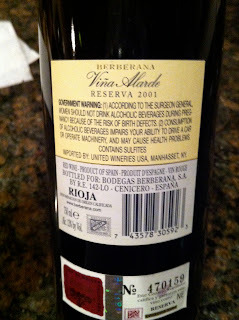 We enjoyed the Rioja he picked out so much, we went to the store to get another bottle the next day. Appearance: Wine is clear, dark red with a pinkish rim. Aroma: Powerfully aromatic. Red fruit like cherries, spices, leather, and a nice hint of vanilla. 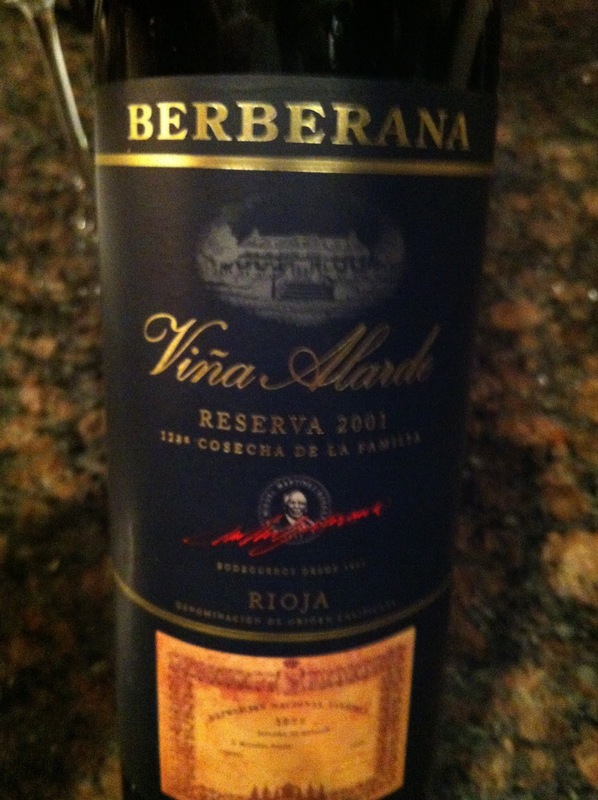 Taste: Very flavorful and fruity - this wine was very food friendly. The Grade: I give this one an A. Tastes like a much more expensive wine to me, very aromatic, delicious and nicely balanced. 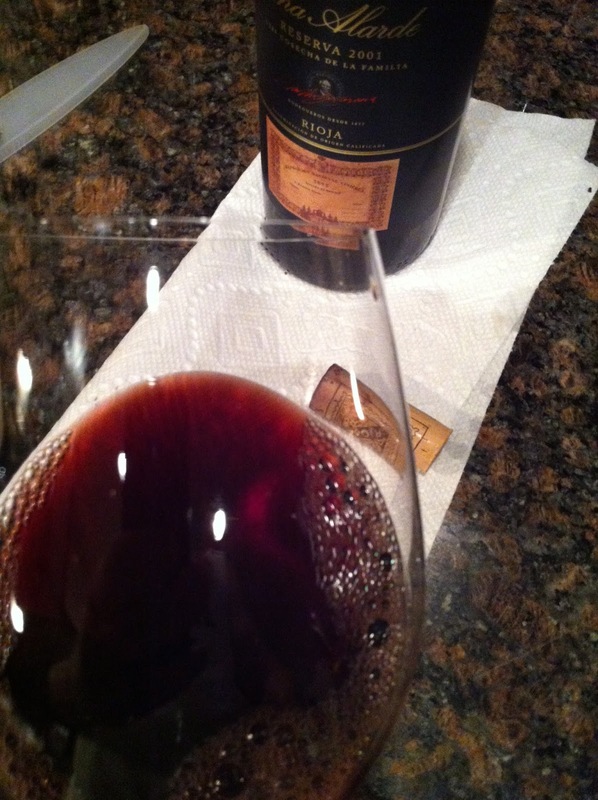 I have tried more recent vintages of this wine and found them to be overly oaky in taste. 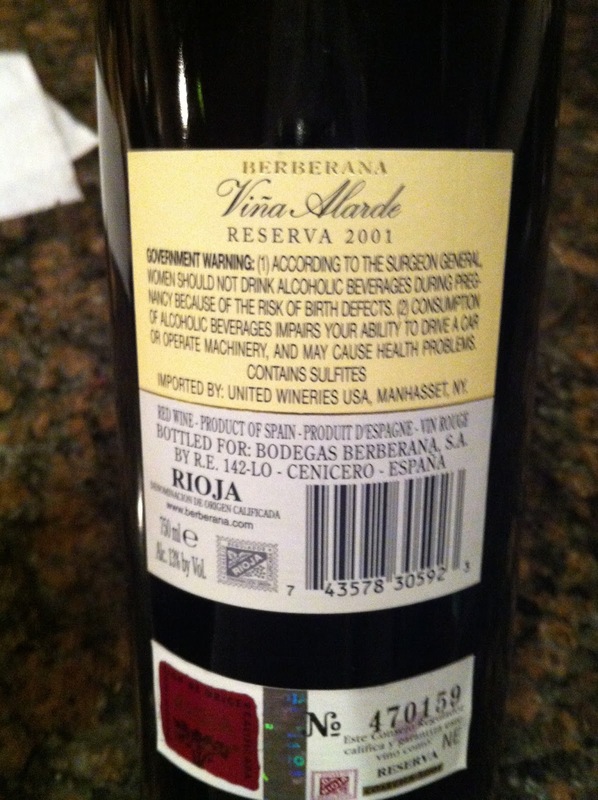 Rioja had a very good year in 2001, and this wine shows it as it as aged very nicely and has started to develop those non-fruit aromas like spice, leather, and vanilla. If at First You Don't Succeed - Pair, Pair Again!